Sustainability is increasingly important for investors, as evidence mounts that companies’ environmental, social, and governance performance has an impact on long-term financial success. 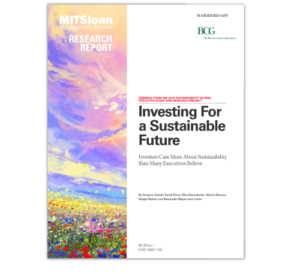 BCG’s seventh sustainability report in collaboration with MIT Sloan Management Review found that 75% of senior executives in investment firms see a company’s sustainability performance as materially important to their investment decisions—and nearly half would not invest in a company with a poor sustainability track record. However, only 60% of managers in publicly traded companies believe that good sustainability practices influence investment decisions. A key factor in investors’ increasing engagement with sustainability is the greater availability of data. In the past, limited access to information forced sustainability-focused investors to take a more exclusionary approach, identifying and shunning companies that harmed the environment. Today’s investors, armed with richer data and more sophisticated analytics, can have a more inclusive and nuanced perspective. Furthermore, the ability to access and analyze more data has revealed that sustainability and performance are not mutually exclusive: 75% of investors now think that increased operational efficiency often accompanies sustainability progress. The disconnect between investors’ and managers’ perceptions means that too few companies are prepared to attract sustainability-savvy investors. The research showed that although 90% of executives see sustainability as important, only 60% of companies have a sustainability strategy in place, and just 25% have developed a clear sustainability business case that can serve as a compelling story for investors. 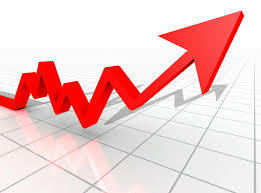 The report suggests several steps business leaders can take to bridge the gap. Hey Buddy!, I found this information for you: "Investors Care More About Sustainability Than Many Executives Believe". Here is the website link: https://www.duurzaam-ondernemen.nl/investors-care-more-about-sustainability-than-many-executives-believe/. Thank you.